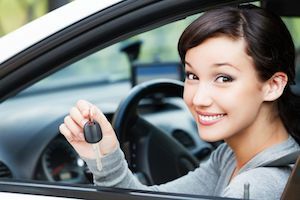 Petitioning NC DMV for restoration of your driver’s license often involves submitting documentation and compliance with a complex set of conditions precedent. Those hearings in Mecklenburg County are often set at the Huntersville DMV office. Part of that process involves completing a HO-12 Form, which criminal lawyers may refer to as an Addendum to the Conditional Restoration Agreement. The following contents are, for ease of review online, broken into Part I and Part II of the Conditional Restoration Agreement. The Petitioner must initial in the space provided for each paragraph that they consent and agree to the terms and conditions listed in this ADDENDUM to the conditional restoration agreement. This ADDENDUM is hereby incorporated and made a part of the condition restoration agreement. I may not apply for a driver license until I receive the signed and approved conditional restoration agreement (this paperwork) and the ignition interlock device is installed. The conditional restoration agreement and the ignition interlock device by themselves do not authorize me to drive until I obtain a driver license. North Carolina General Statute Section 20-7.1 requires an address change on the driver license within sixty (60) days of the change. I understand that this address change must be made through the Division. I hereby consent and agree that any future hearings that I require will be subject to the provisions of North Carolina Administrative Code 19A N.C.A.C. 03K and that I will comply with all terms and obligations of this provision. I understand that failure to comply with the terms and obligations will negatively affect the status of my driving privileges. The ignition interlock device will be monitored and the results reported to the Division at least once every sixty (60) days. I consent and agree that failure to appear for the service of the ignition interlock device, as directed by the provider, or failure to follow the proper operating instructions will result in cancellation of my conditional restoration agreement. Should the ignition interlock device be de-installed (removed), then I understand and agree that the conditional restoration agreement will be summarily cancelled and the original suspension(s) will go back into effect. 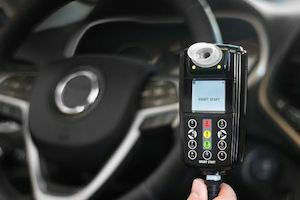 I consent and agree that I am responsible for any alcohol or contaminant readings on the ignition interlock device and my conditional restoration agreement could be subject to cancellation due to such readings. I understand that I am still subject to any statutory restrictions that may be placed on my license pursuant to N.C.G.S. Section 20-17.8, in addition to, any other terms and conditions of this agreement. In the event that my chosen ignition interlock service provider sends a violation report to the Division that indicates that the violation was possibly cause by a mouth contaminant, then I consent and agree to allow the Ignition Interlock Unit to conduct a mouth contaminant review in lieu of requiring a compliance hearing to be conducted by a Field Hearing Officer. In doing so, I understand that if a violation reading meets the criteria for a contaminant reading, pursuant to North Carolina Administrative Code 19A NCAC 03K .0102, the Division has the authority to assess a $75.00 fee for this review and final determination. I understand that any violation report that reflects a possible violation of the conditional restoration agreement may be sent to the Field Hearing Officer for a compliance hearing to be conducted. I further understand that if I incur three (3) violation reports or display a pattern of continued mouth contaminant readings, violation reports may be sent to the Field Hearing Officer for a compliance hearing to be conducted. 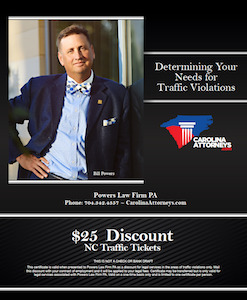 Call our criminal attorneys now if you would like more information about DMV hearings, appeals, and the procedures for obtaining a valid driver license from NC DMV after a conviction for DWI charges in Charlotte NC.